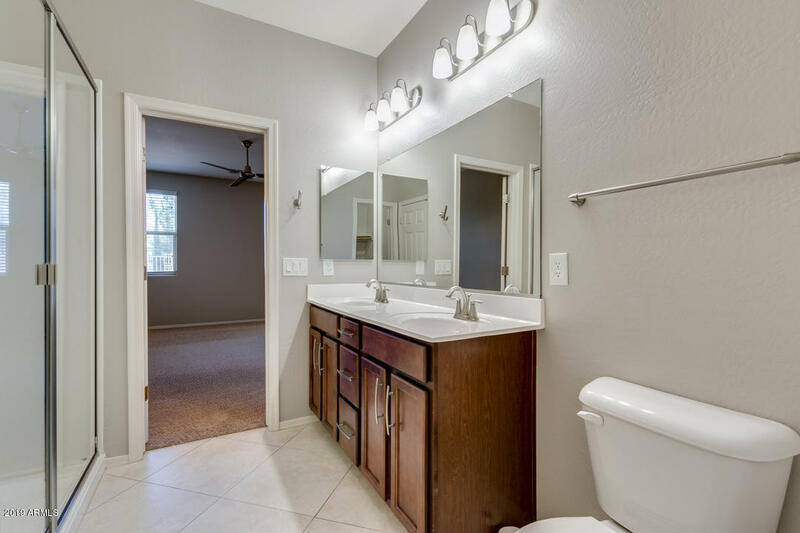 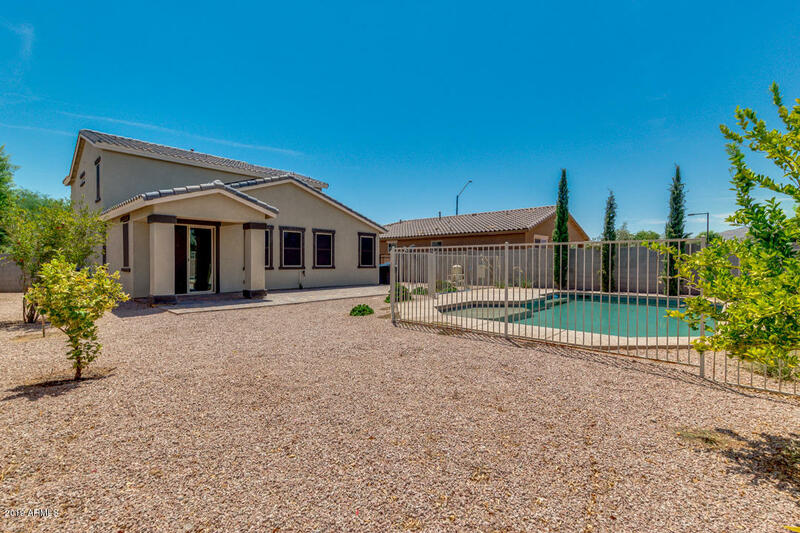 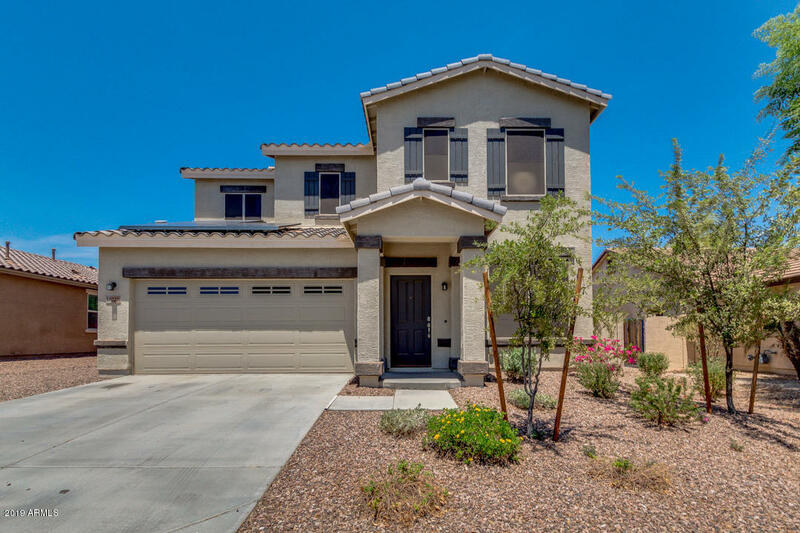 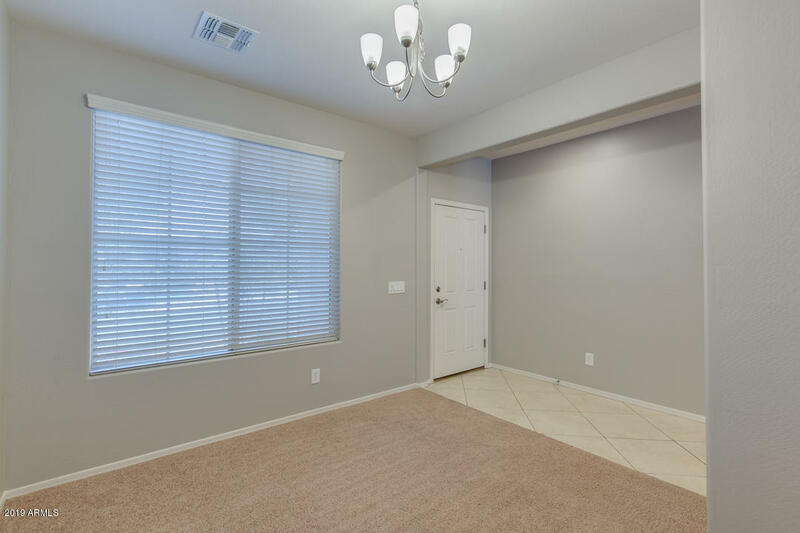 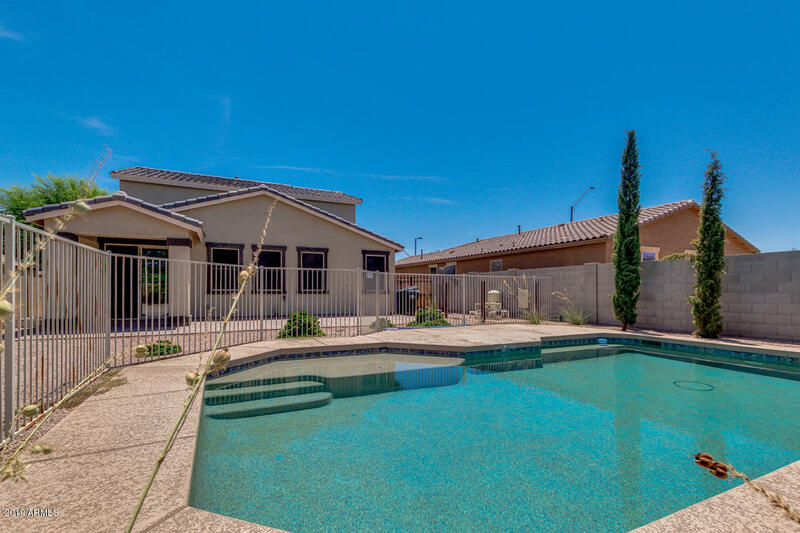 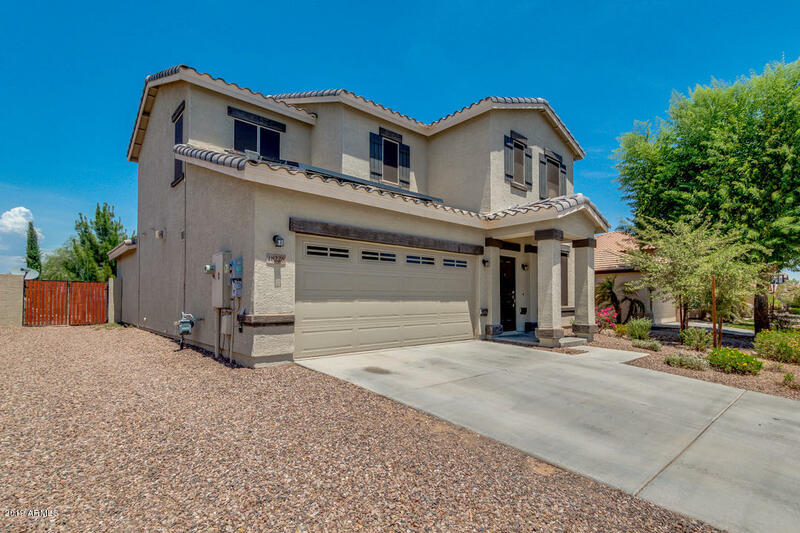 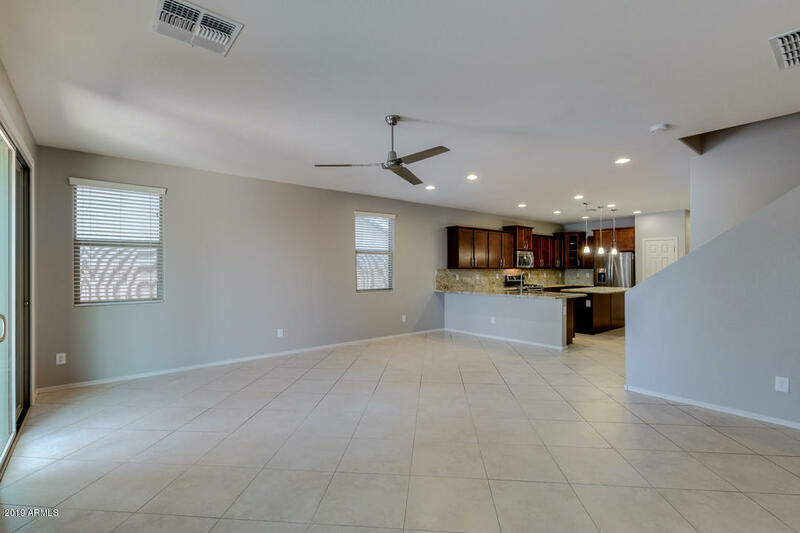 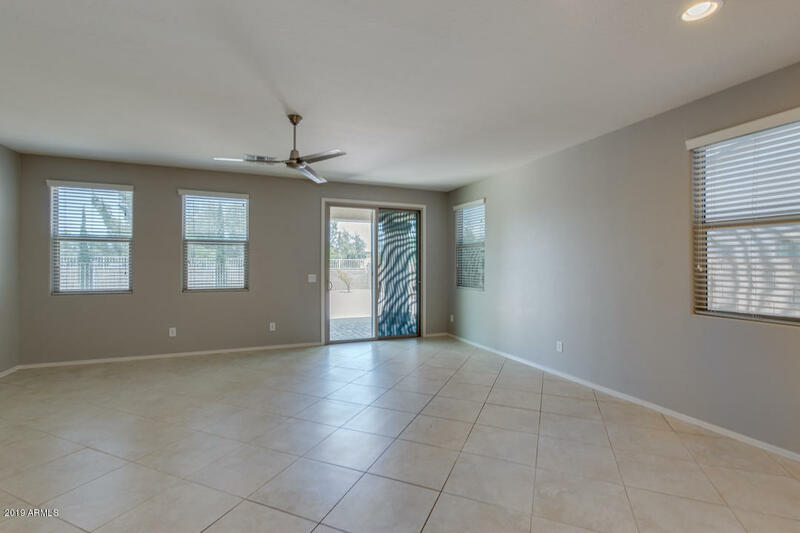 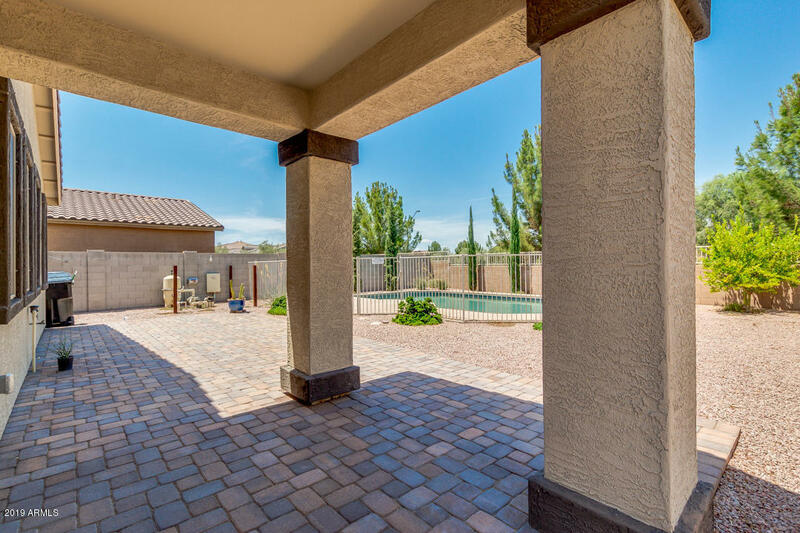 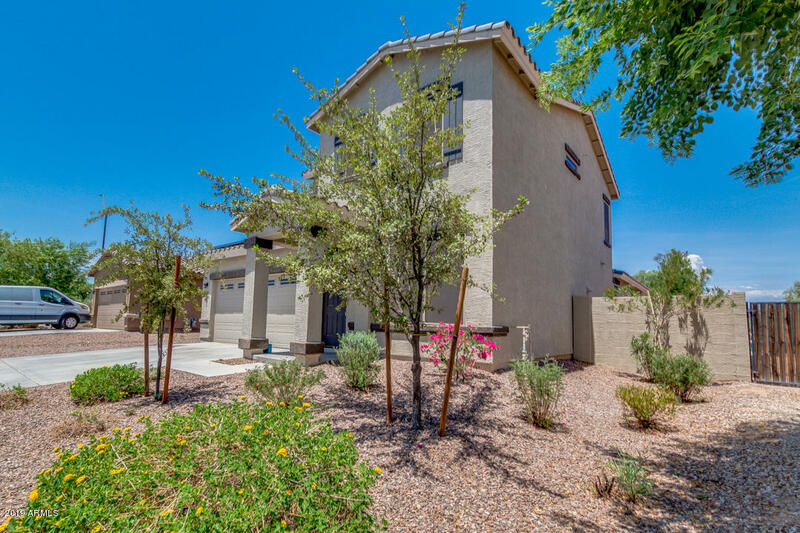 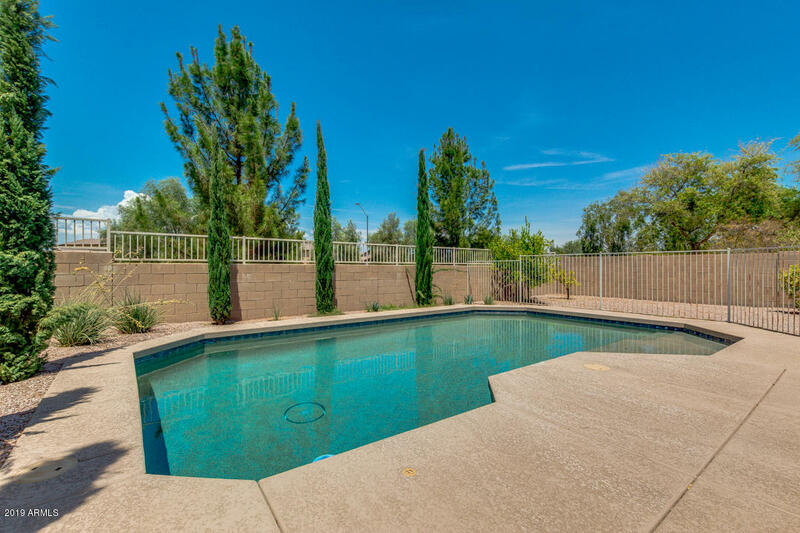 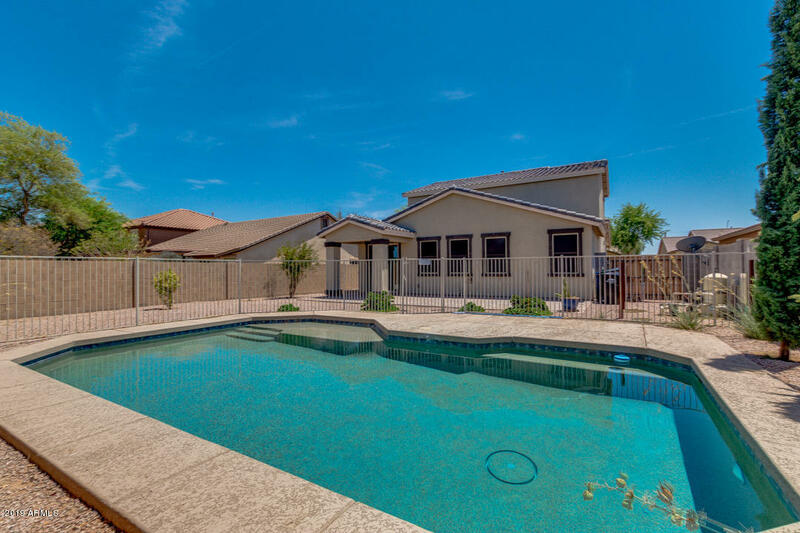 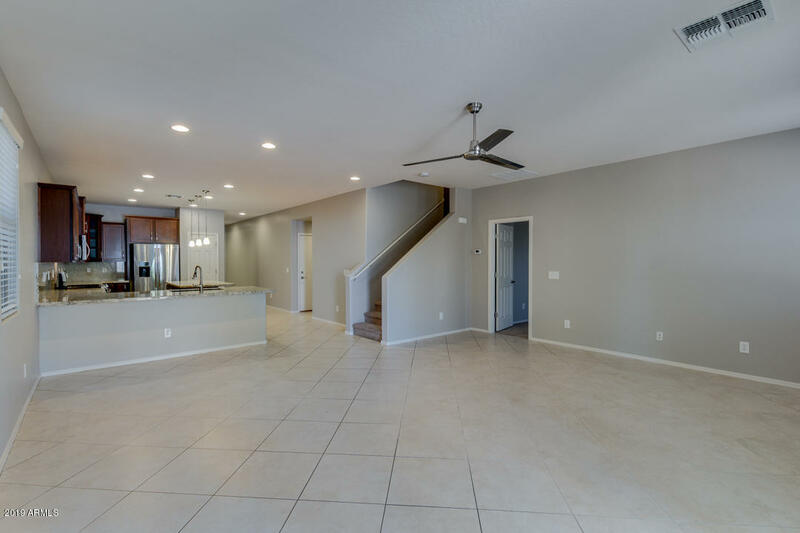 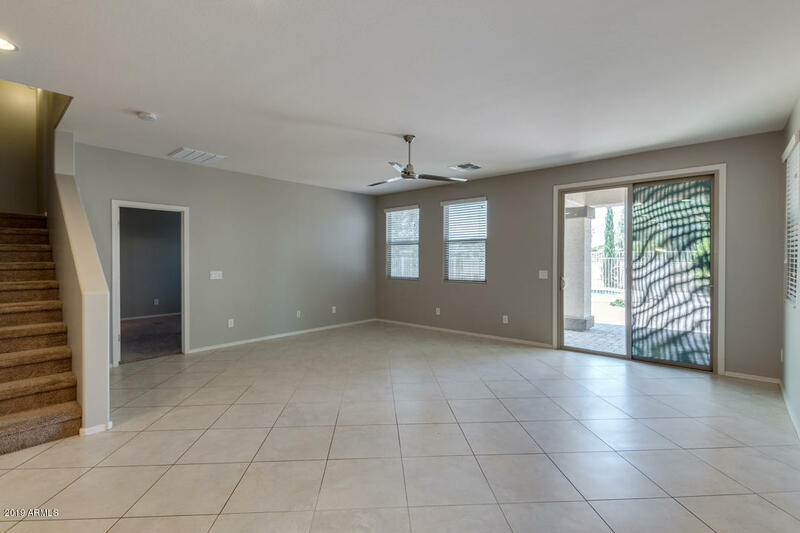 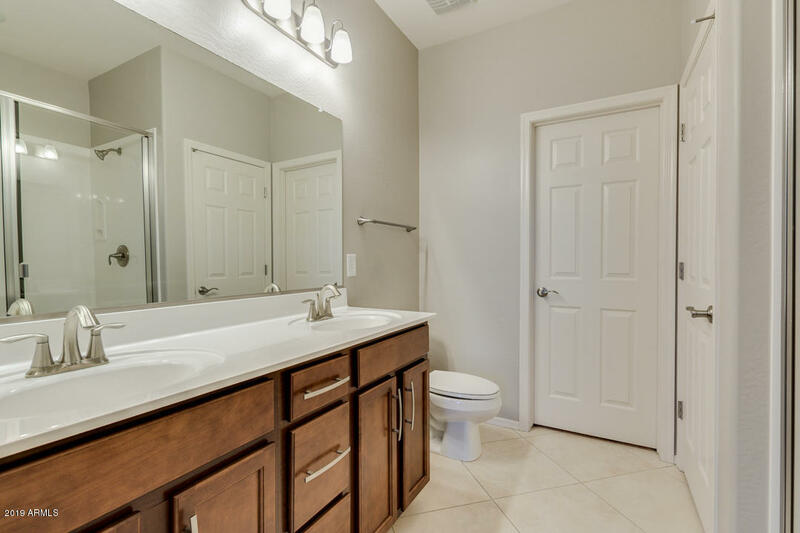 Beautiful 3 bedroom 2.5 bath home with private pool located in Surprise Farms! 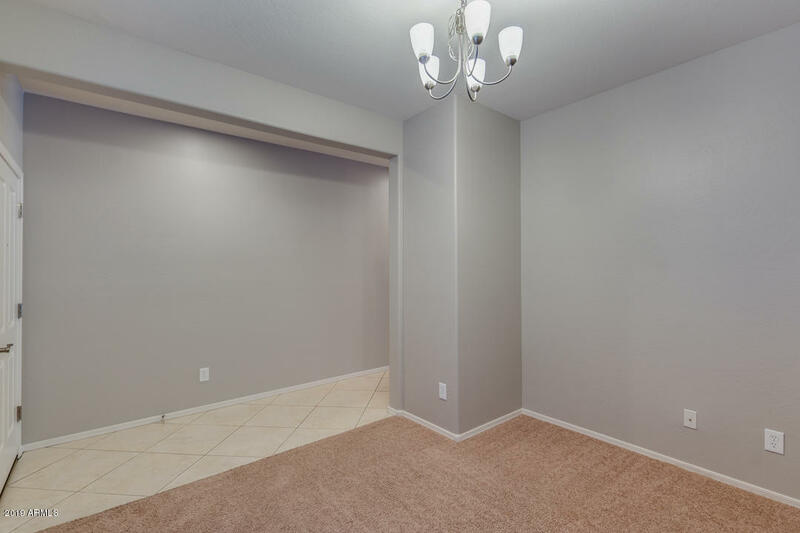 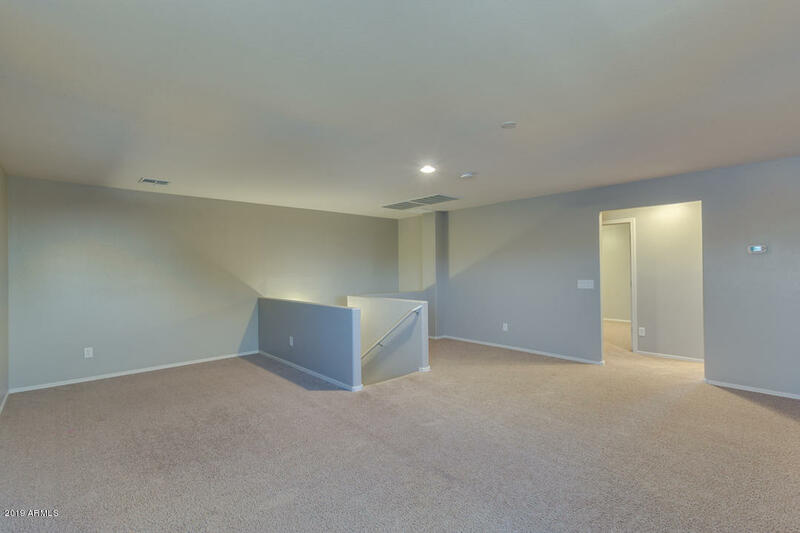 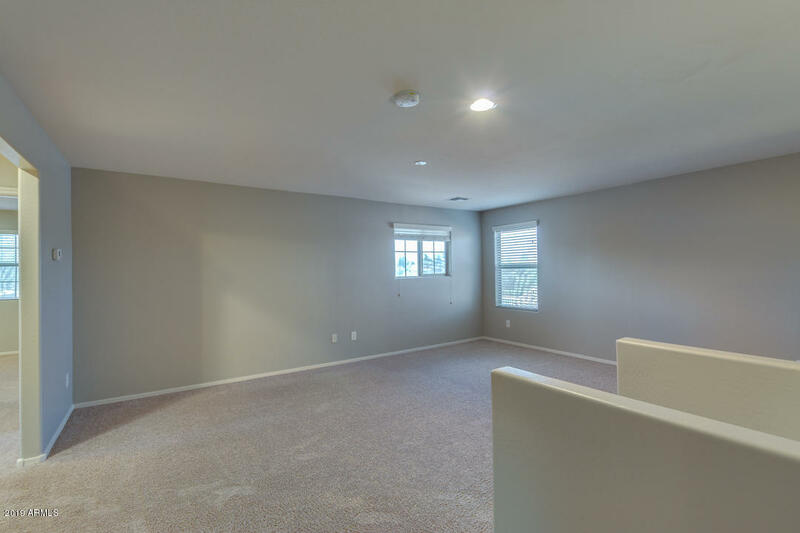 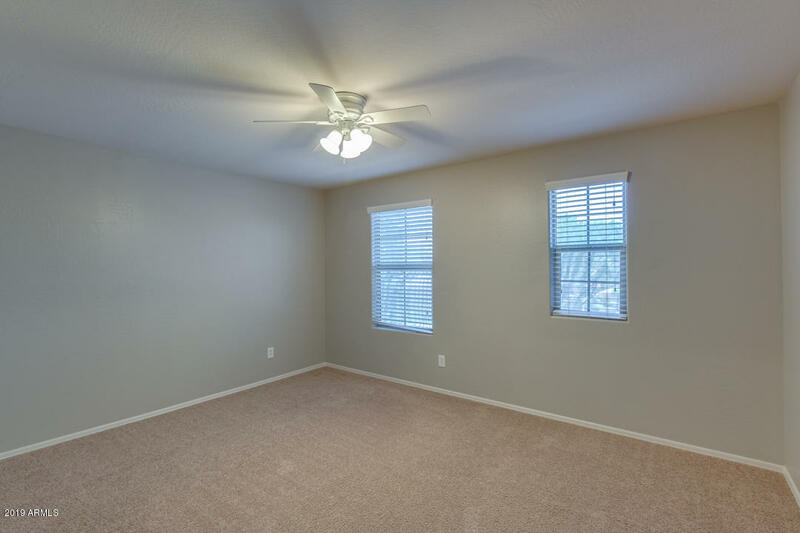 Great home with plenty of space for all with separate living and family room and large loft space. 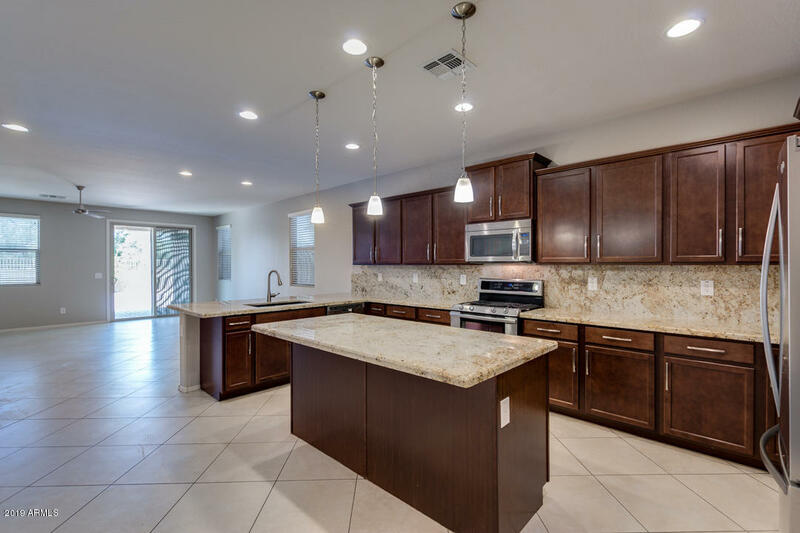 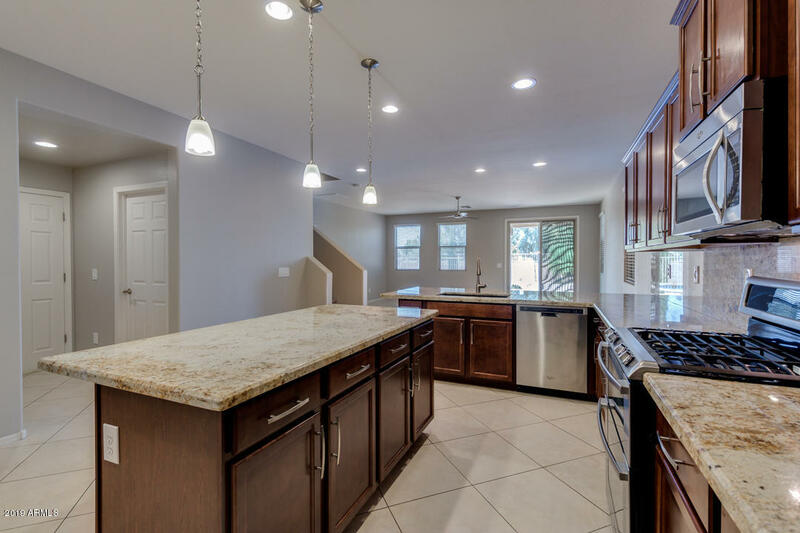 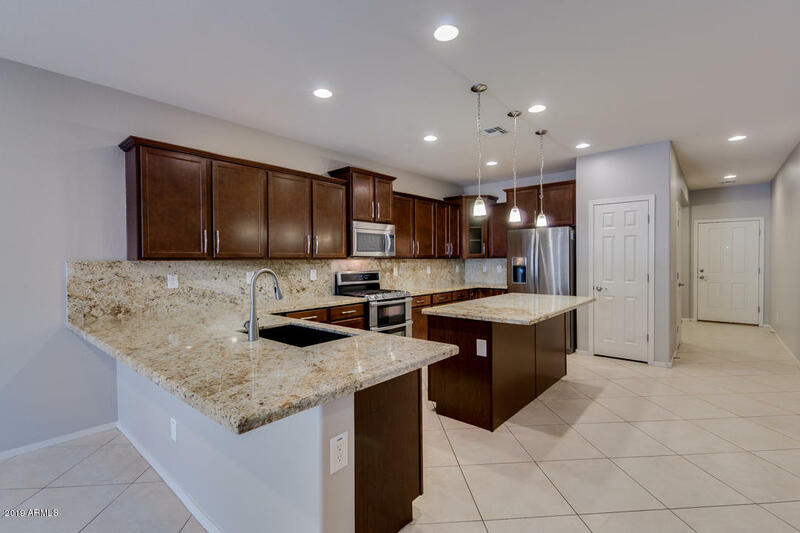 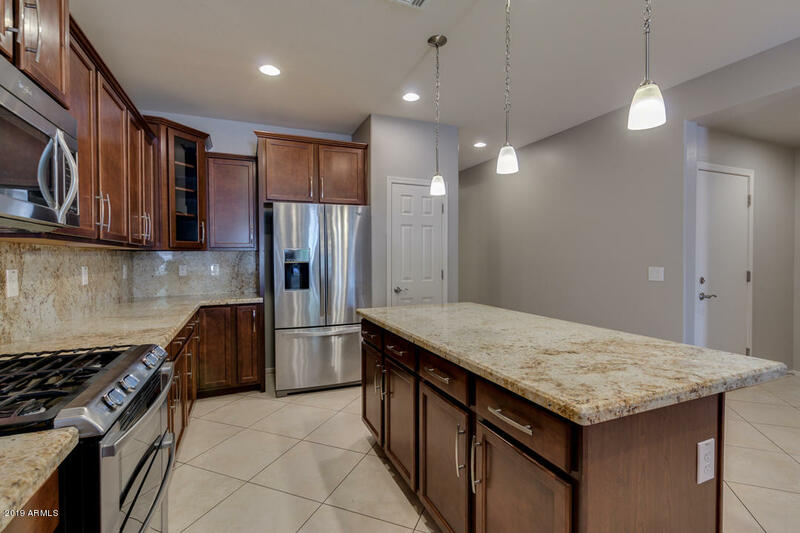 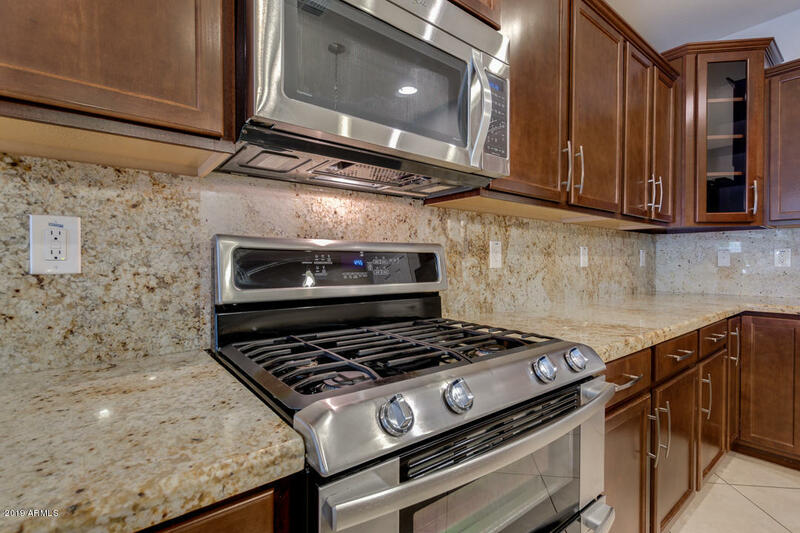 Enjoy cooking in this gourmet kitchen with large kitchen island and breakfast bar, granite counter tops and upgraded stainless steel appliances. 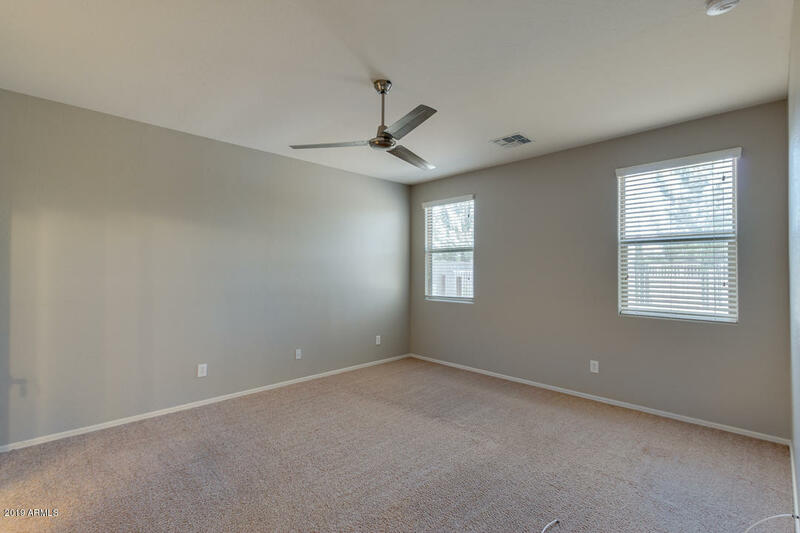 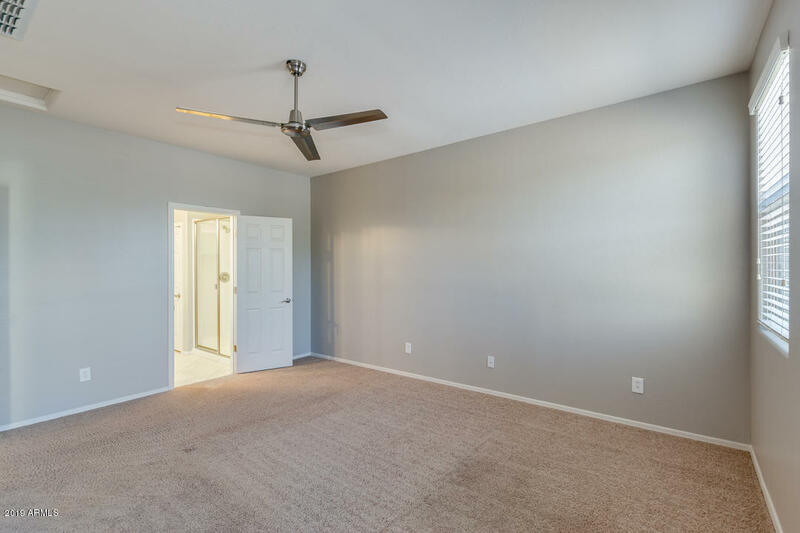 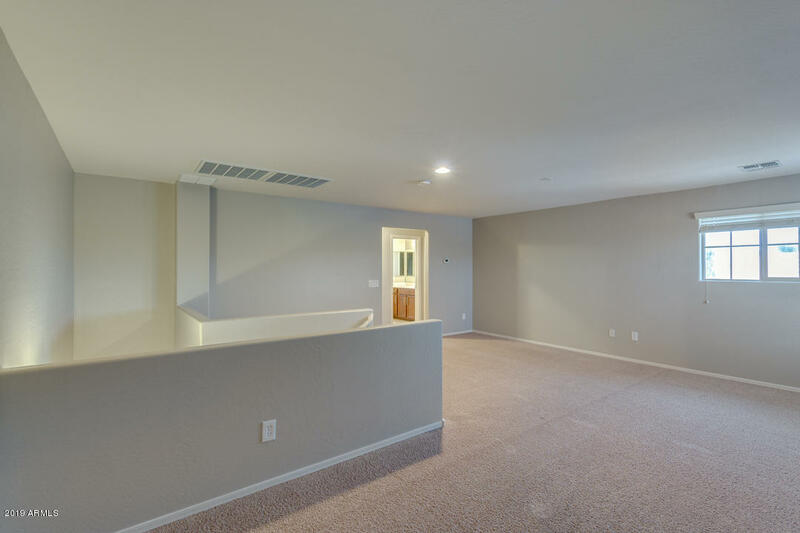 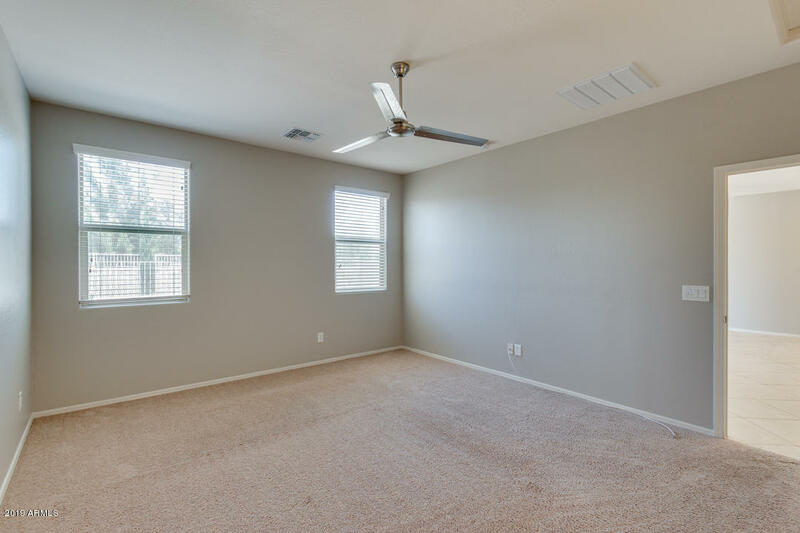 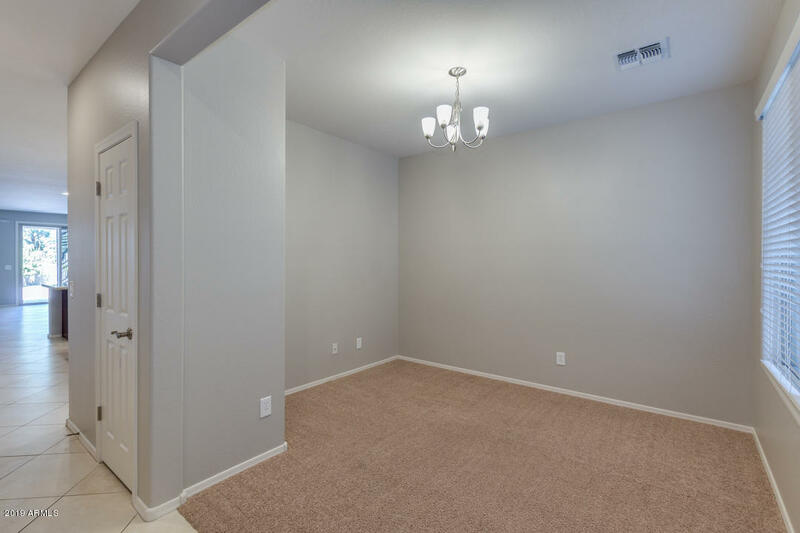 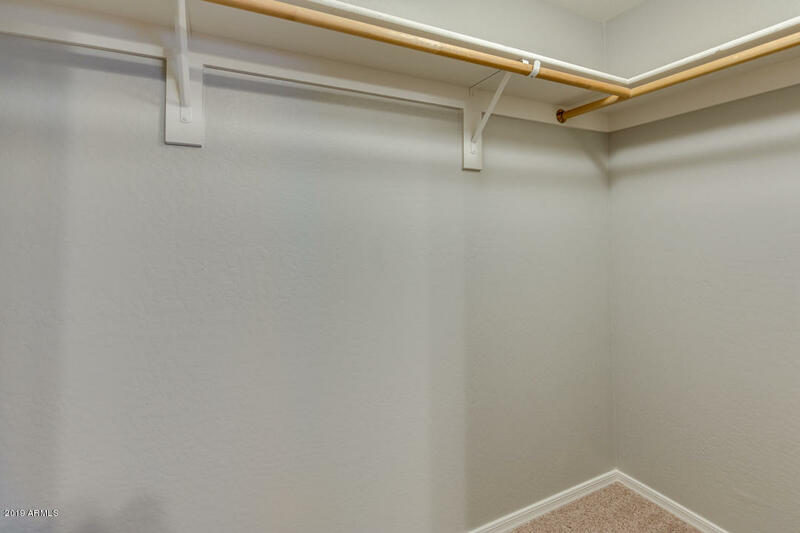 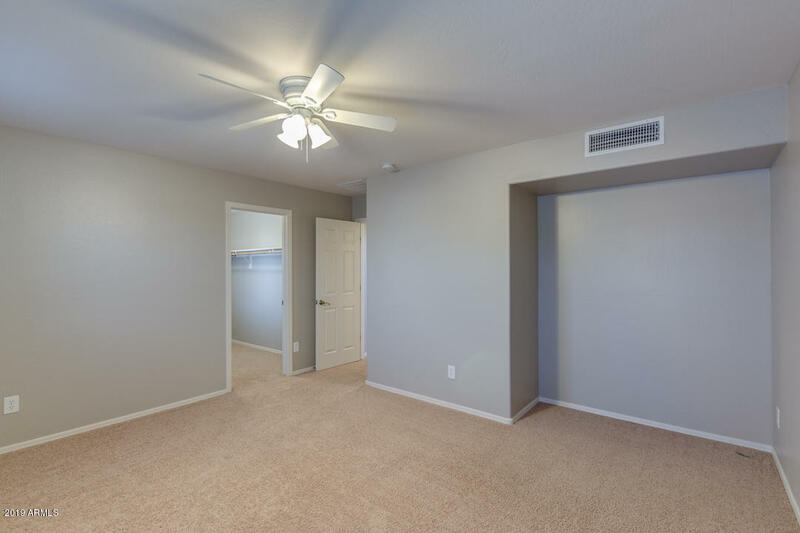 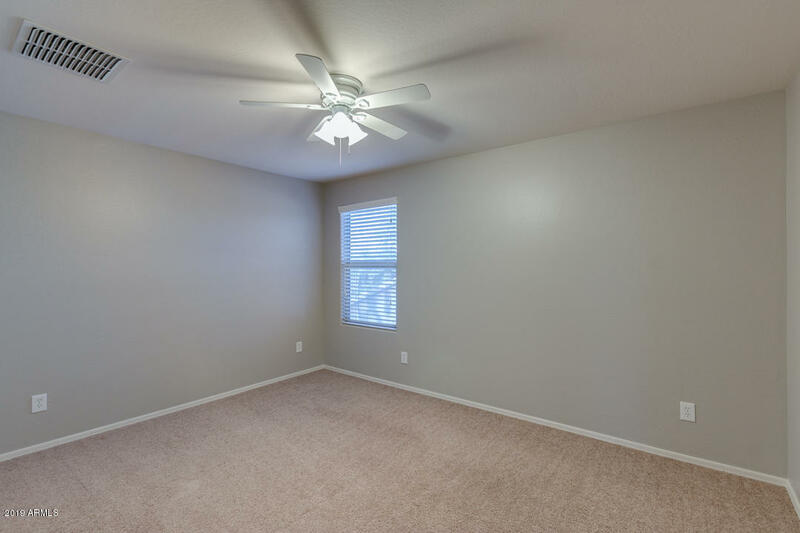 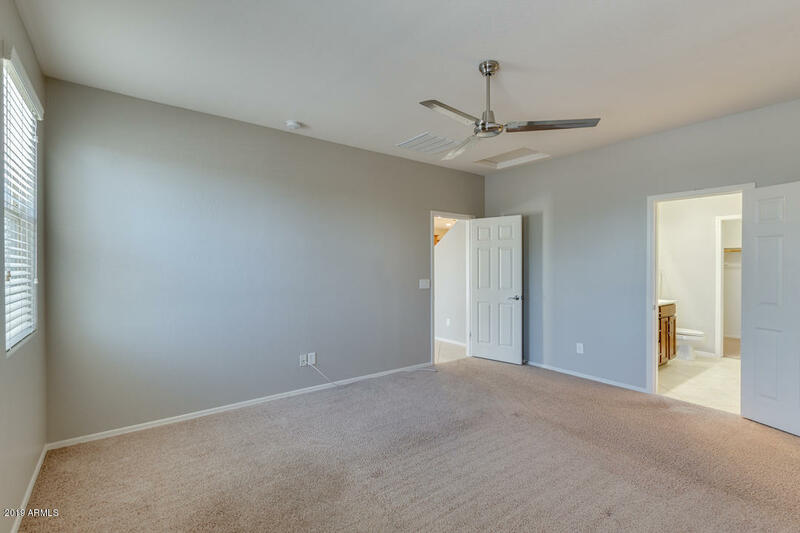 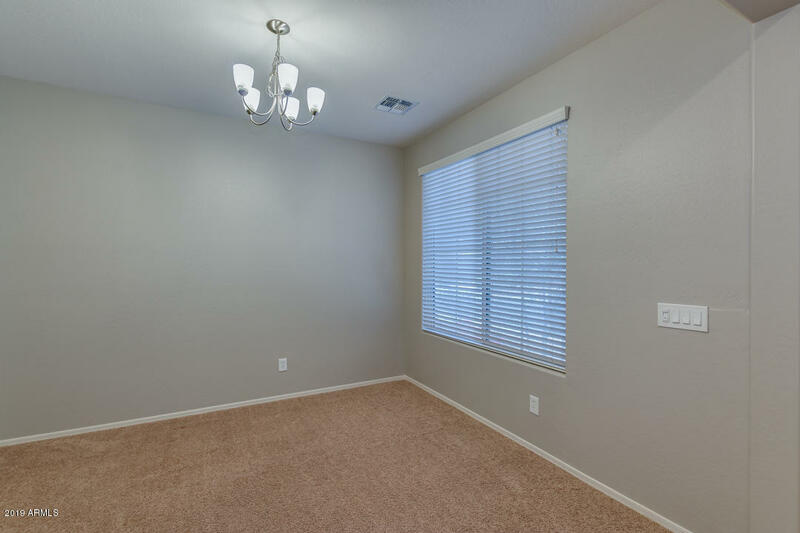 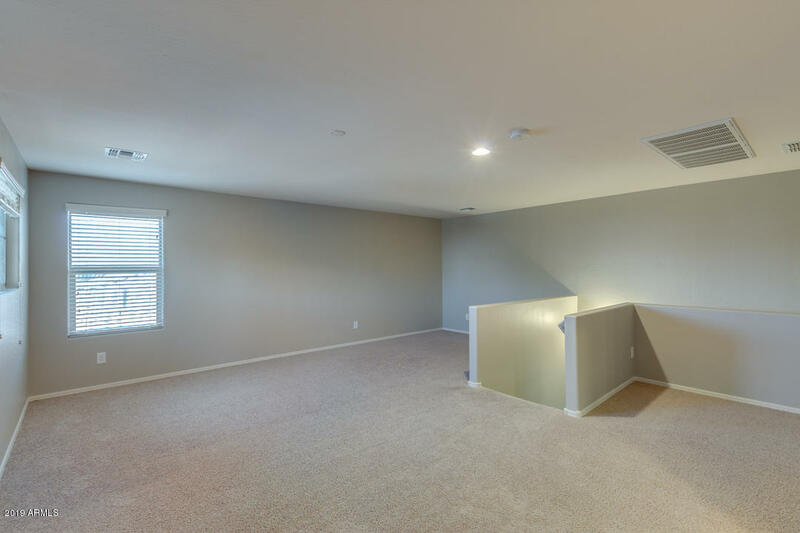 Spacious master bedroom with full master bath that includes double sink vanity and walk-in closet. 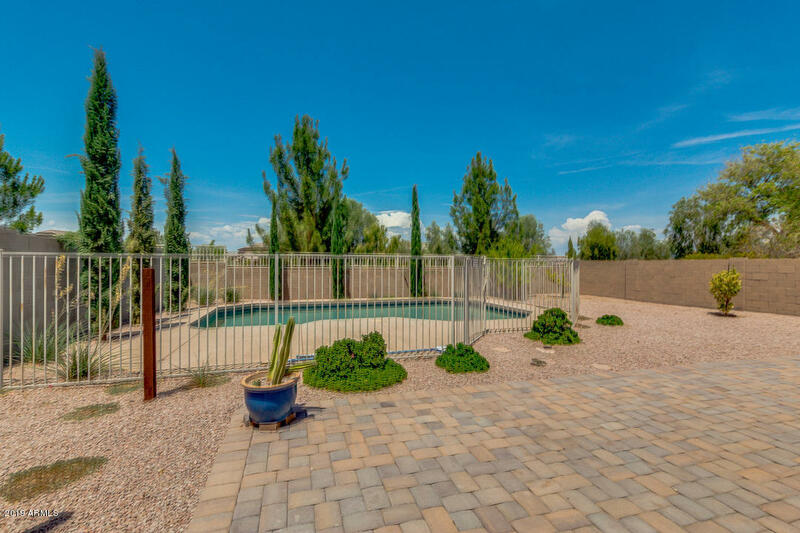 Enjoy the relaxing backyard with private pool, covered backyard patio with easy to maintain desert landscaping. 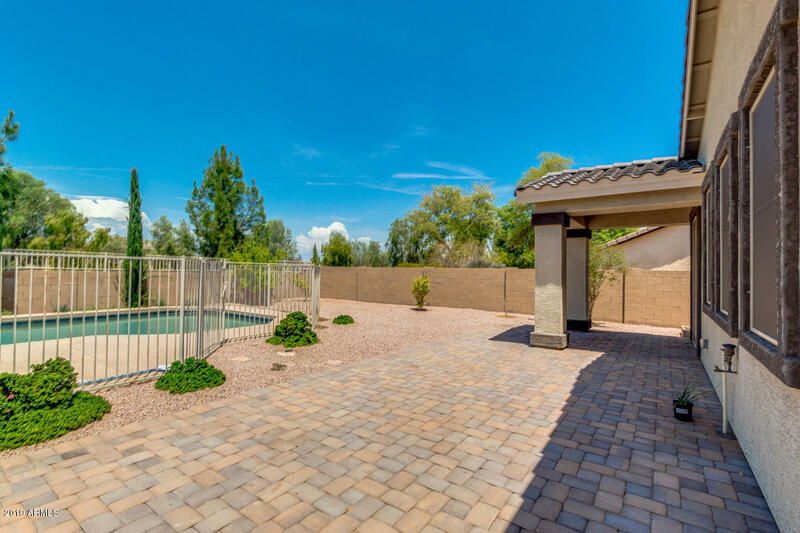 North facing backyard means your new pool will be in the sun year round. 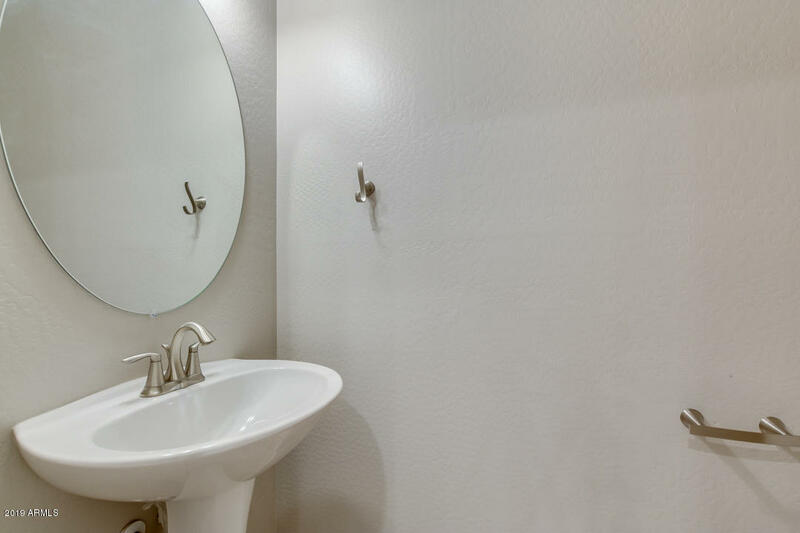 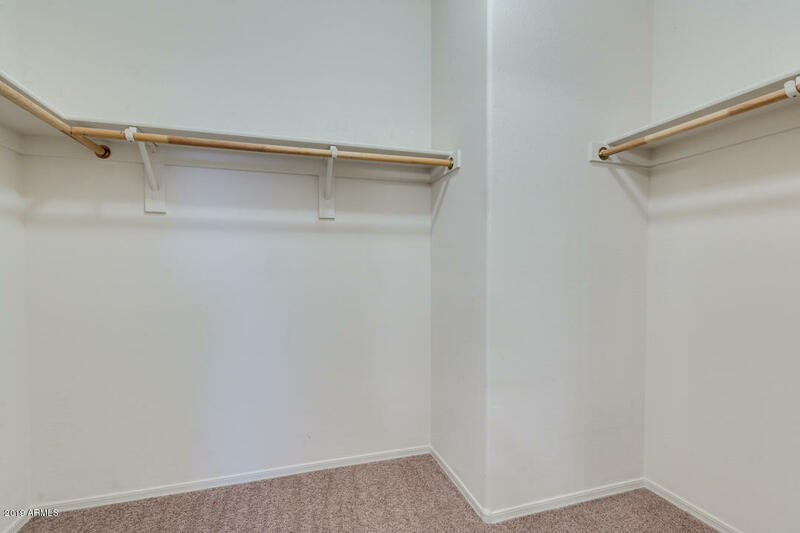 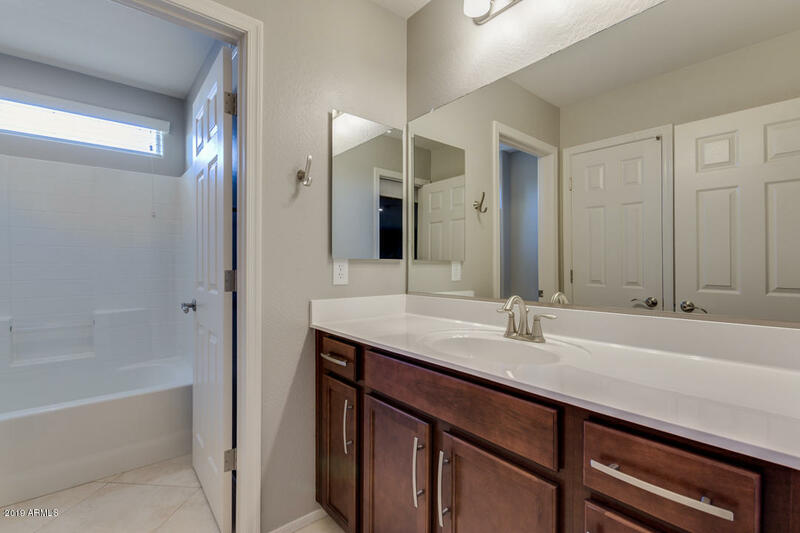 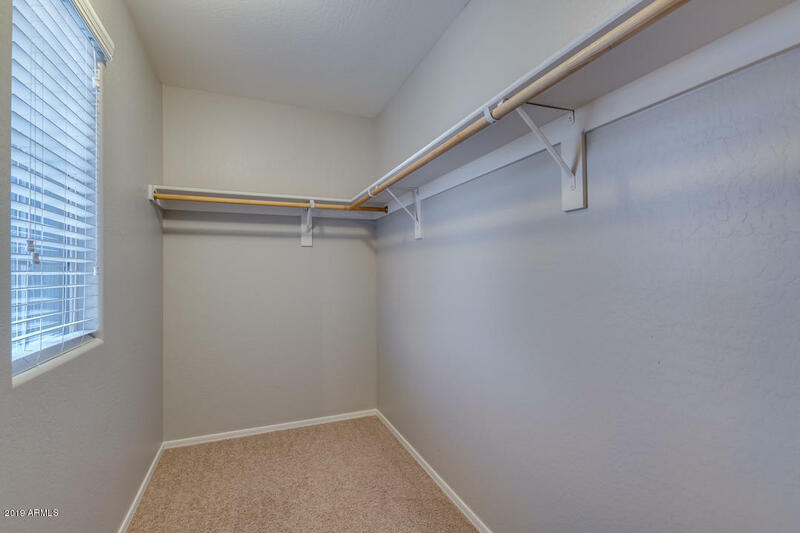 Home is within walking distance to Surprise Farms Community Park and quick access to the 303. 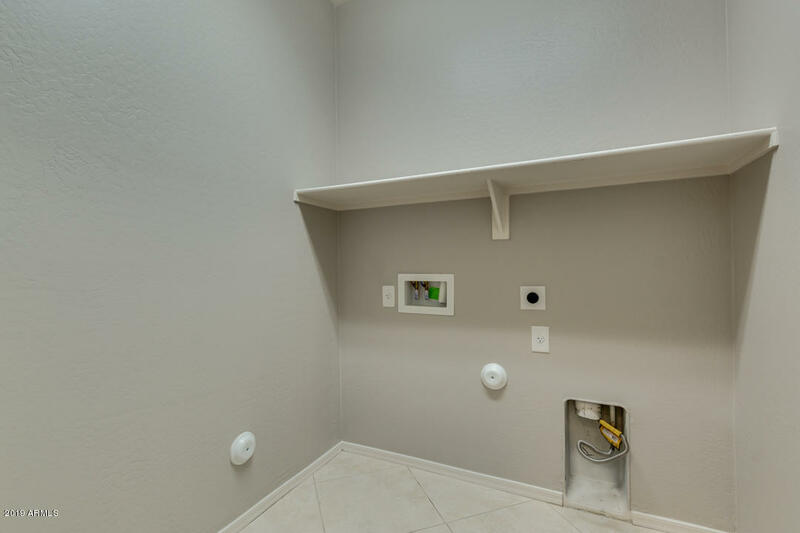 This home is also TESLA Solar Equipt.